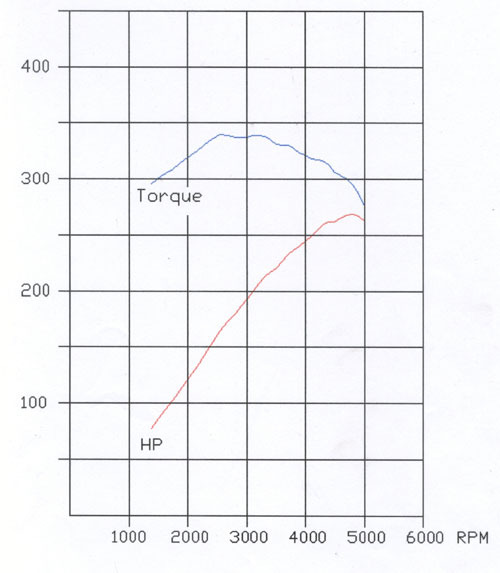 The torque curve of the engine in stock form was already broad and flat. The addition of some simple bolt-on performance modifications increased torque throughout the rev range, particularly at higher revs. Maximum horsepower increased from 193hp @ 4850rpm to 235hp @ 5200rpm, and maximum torque from 239lbft @ 3500rpm to 269lbft @ 4000rpm. 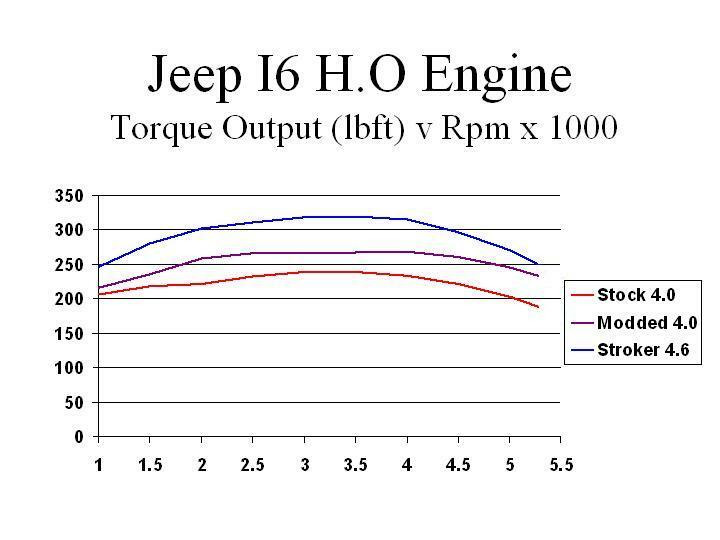 The torque curve is broader, with at least 242lbft (1.0lbft/ci) available from 1600rpm to 5100rpm. This translates into faster acceleration at any speed in any gear making passing manoeuvres safer. Gas mileage remained the same despite the higher HP/TQ outputs thus reflecting the engine's greater efficiency. There's no replacement for displacement so if you want even more torque, you need a bigger engine. The 4.0L engine has a 3.411" stroke, 3.875" bore, 6 cylinders, and a displacement of 241.5ci (3956cc). 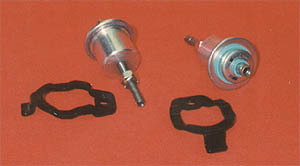 You can increase the displacement of your 4.0L engine by installing a stroker kit. 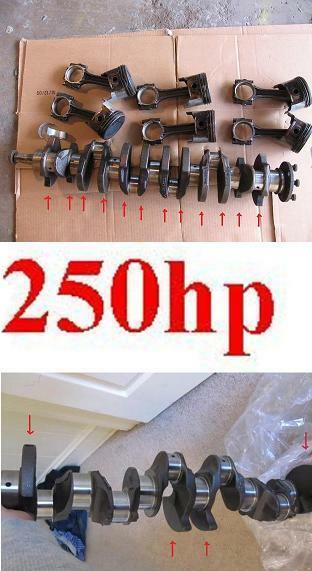 At the heart of the kit is the 3.895" stroke crankshaft that was used in the AMC/Jeep 258ci (4.2L) I6 engine. On an engine with the standard 3.875" bore, the stroker crank increases displacement to 276ci (4517cc or 4.5L). Add 30 thou or 60 thou overbore pistons and displacement is increased to 280ci (4587cc or 4.6L) and 284ci (4657cc or 4.7L) respectively. Larger displacements will require custom parts. For a 4.8L stroker (4759cc or 290ci), 60 thou overbore pistons and a custom billet 3.98" stroke crank are required. If a custom billet 4.06" stroke crank is used, displacement is increased to 4.9L (4855cc or 296ci). The ultimate stroker would be a 5.0L version (5016cc or 306ci) with the block resleeved to accommodate 4.00" bore pistons and the aforementioned custom billet 4.06" stroke crank. Here's some information on how you can build a stroker engine and the kits available. Robert Bryce built the world's first budget Jeep I-6 stroker engine, reusing as many stock components as possible in his assembly to keep cost to a minimum. The key to success was to keep it simple. Click on the image to the right to find out more. Not to be outdone, I also jumped onto the stroker bandwagon and built the world's first "square" Jeep I-6 stroker engine with a bore and stroke of 3.895". 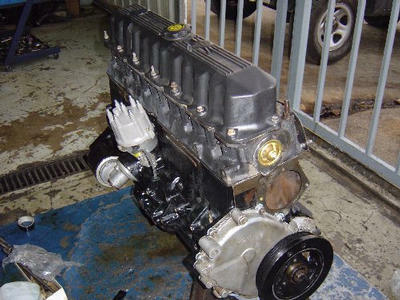 It's identical to the 4.6L "poor man's" stroker shown below except that I used a Crane 753905 camshaft. I transformed a junkyard 4.0L short block plus a pile of parts into a rip-snorting torque monster with a displacement of 4563cc, hence I entitled my stroker story "From Junker to Stroker". My stroker engine's producing a calculated 258hp @ 4850rpm and 320lbft @ 3500rpm. At least 278lbft (1.0lbft/ci) is available from 1500 to 4850rpm. The difference in performance over the old modified 4.0 is very noticeable, particularly from 1500-4000rpm where I need it most. Performance-wise, the stroker engine has hit the bullseye! 505 Performance have introduced a range of stroker kits from mild to wild, including a 5.0L kit (actually 4855cc or 4.9L) with Ross Racing +0.060" forged pistons, Eagle 6.150" forged connecting rods, and a custom blueprinted 4.06" stroke crankshaft. 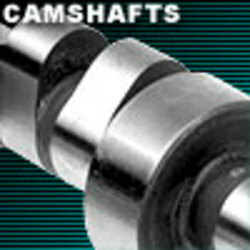 They've also introduced a range of hydraulic flat tappet camshafts and they are the first company to introduce hydraulic roller tappet camshafts for the Jeep I6 engine. 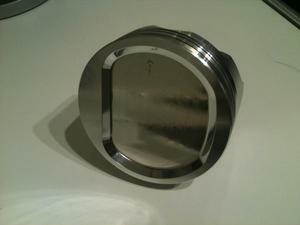 Available for all Jeeps in .030 or .060 oversize. Click on the image to the right. A Hesco 4.7 stroker dyno'ed 267hp @ 4700rpm and 332lbft @ 3400rpm at the flywheel. Another Hesco built 4.6 stroker did even better on the engine dyno, producing 269hp @ 4800rpm and 339lbft @ 3200rpm. 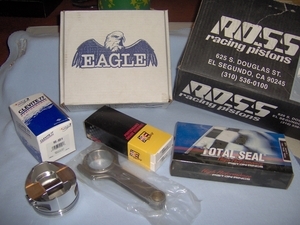 Other stroker kits worth mentioning are supplied by Speedomotive, RPM Machine, and Clegg Engine. The Golen 4.6L stroker has been reviewed by JP magazine, producing 268hp @ 4900rpm and 324lbft @ 3900rpm on the engine dyno. Limeyjeeper built the 4.0L engine from his '99 WJ into a 4.6L stroker engine using the Accurate Power stroker kit. It produced 210hp @ 4800rpm and 262lbft @ 3800rpm on the chassis dyno. Assuming a 20% drivetrain loss (RWD auto. ), that's 263hp and 328lbft at the flywheel. Here's the link to Limeyjeeper's stroker story. Accurate Power and Jakes Racing Engines have ceased trading, while Clifford Performance continue to trade but no longer supply stroker kits. Stroker engines require oversize injectors to provide adequate fuel and prevent pinging due to lean air/fuel mixtures. Click on the image to the right. Fine tune your engine's fuel curve with a Hesco adjustable fuel pressure regulator (FPR). Click on the image to the left. The fuel pressure can be adjusted to provide the optimum air/fuel ratio. There is no adjustable FPR available for '96 and later engines. Stroker engines need a longer duration than stock camshaft to maximise horsepower and torque. 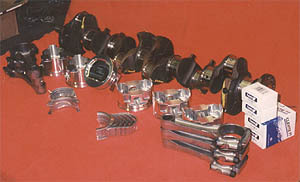 Click on the image to the right to go to the CompCams catalog. The aim is to produce maximum torque over as wide an rpm range as possible. Stroker engines built with a compression ratio (CR) of about 9.5:1 will derive maximum benefit from a midrange camshaft such as the CompCams 68-231-4 206/214 degree cam. A stroker built to a CR of 8.8:1 that'll run with 87 octane fuel will benefit from a shorter duration dual-pattern cam such as the CompCams #68-115-4 192/200 degree cam for more low rev torque. NEW: Keith Black have come to the rescue of the budget stroker crowd with reasonably priced, off-the-shelf ICON forged pistons that can be used with the stock Jeep 4.0L 6.125" rods so there's little reason to use the 0.25" shorter 4.2L rods in a stroker build anymore. The pin height of these pistons is 1.353" so that leaves the deck clearance at 0.027" (quench height at 0.070" with 0.043" head gasket) in a standard deck height block, and the compression ratio at 9.2-9.4:1 (depending on bore size) if you use the IC944 pistons with a 21cc dish. If you mill 0.020" from the block deck to reduce the deck clearance (and quench height), the compression ratio will increase by 0.4:1. 9.453" = 6.125" + 1.705" + 1.601" + 0.022"
0.073" = 0.022" + 0.051"
I've outlined several stroker combinations from mild to wild below based on budget and desired horsepower levels. To get maximum benefit from the stroker engine you need a free-flow intake with an S&B or K&N cone filter, 62mm bored HO throttle body, header, high-flow cat, performance muffler and 2.5" exhaust piping. 4.6L Low-buck, low CR "rockcrawler"
Same as above but with Jeep 4.2L 5.875" rods and Sealed Power 677CP +0.020" bore pistons. Unfortunately the high 0.088" quench height makes this combination more sensitive to detonation if the fuel quality is poor. This deficiency was rectified with the use of longer 4.0L connecting rods and custom forged pistons. This modified version is a great stroker build for a mild supercharger/turbo application with up to 6psi of boost. 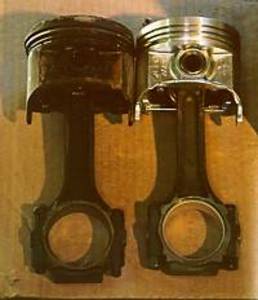 The 4.0L connecting rod/forged piston combination offers less reciprocating mass than the 4.2L rod/677P piston combination, thereby giving this engine a potentially higher rpm capability than the original "poor man's" stroker. The tight quench also allows this engine to run on 87 octane fuel in naturally-aspirated form.